February 2016 – R&D Reform Package was enforced. • The Design Centers will also benefit from the support and exemptions provided to R&D Centers. • The design activities to be realized in the Technology Development Zones have also been included in the scope of support and exemptions. • In addition to companies which carry out R&D and design work, SME’s which outsource R&D and design will also benefit from tax reduction. • The number of required minimum R&D personnel to establish an R&D center has been reduced from 30 to 15. • A portion equal to the gross minimum wage of the wages of Fundamental Sciences graduates to be employed in R&D centers shall be covered by the government for 2 years. • Taxation support and donation shall be provided to Cooperation Before Competition projects in order to encourage companies to carry out joint projects. • A Customs Duty Exemption has been introduced for products that are imported as part of R&D, innovation and design projects to shorten project periods and reduce costs. • Specialized Technology Development Zones shall be established in the primary and strategic industries (information, health, biotechnology, nanotechnology, defense, space, aviation etc.) and focal RD structures will be founded. • Time periods required to be spent abroad by personnel working at the Technology Development Zones as well as R&D and Design Centers, whether on projects or for graduate education have been included in the scope of the exemption. • Tax reduction has been introduced for companies which enable direct venture capital entry to companies established through the Technoventure Capital Support in Technology Development Zones. • Increasing the TL 100,000 Technoventure Capital Support given to young individuals with innovative ideas to TL 500,000, depending on type of the project, and extending the post-graduation period requisite from 5 years to 10 years has been enabled. • A standard determination and authorization system intended to ensuring secure and high quality software by the companies in the information industry was introduced. • Income tax shall not be deducted from the revenues obtained by faculty members as a result of their University-Industry cooperation activities; the revolving fund deduction shall be restricted to 15% , with 85% to be paid to the faculty member. March 2016 – The World Trade Organization, Trade Facilitation Agreement, Statute number 6662, was enforced through its publication in the Official Gazette dated 5 March 2016. • The agreement will be enforced with the completion of the internal approval processes by 108 members of the WTO. Our country has become the 71st member to complete the approval process. • The agreement includes provisions for the ease of access to commercial legislation and to ensure the predictability of border crossing transactions; expanding the use of information and communication technologies in border crossing transactions; reducing unnecessary formalities and increasing effectiveness of border crossing; as well as, limiting the fees and charges of border crossing transactions to reduce commercial costs. • Therefore, it is parallel to the vision of our country to become “one of the few commercial centers of the world where custom services and trade are carried out in the easiest and safest way”. • Together with the enforcement of the agreement, the costs of trade are expected to drop by 14.3%, and global export volume is expected to increase by 2.7% per year from 2015 to 2030, while the gross domestic revenue is expected to increase by 0.5%. April 2016 – The Law on the Protection of Personal Data, No. 6698, was enforced through its publication in the Official Gazette, dated 07.04.2016. • The law in question is crucial as it is the first legal regulation to particularly address the protection of personal data. • The law has a prominent place in the process of subscription to the European Union (EU), and it is compatible with the Data Protection Directive 95/46/EC of the EU. • The above-mentioned law harmonized Turkey with EU standards to a large extent, and significantly aligned Turkey’s legal infrastructure with the EU’s legal framework. • The law officially defined worldwide accepted concepts in the field of personal data protection. • As “personal data” were defined, they will be processed only in accordance with principles and procedures. • Other than legally determined exemptions, personal data may only be processed with the express consent of the individual. • The conditions of transferring personal data abroad and the responsibilities of the organizations and institutions who maintain personal data were determined through the law. • Turkey intends to become a hub in its region in the fields of finance, tourism, logistics etc. This law is an important component for the targets in question. • The law in question requires the permission of the individual in order to share personal data abroad. The person’s personal data shall not be transferred abroad without the express consent of the individual. • A Personal Data Protection Board and Personal Data Protection Agency will be established to ensure the enforcement of the above-mentioned law. May 2016 – The legal regulation related with private employment offices and off-site work was published in the Official Gazette. • The area of activity of the private employment office was expanded and the activity of establishing a temporary business relation was given to these offices. “Private employment offices” are those offices established by real or legal persons, who are allowed by the organization to conduct temporary work related to the promotion of activities and who act as an intermediate that places job seekers into eligible-positions and finding employees for various positions. .
• The legal basis of off-site labor was created. As a result, the employee’s performance of the work either at home or outside of the work place by means of technological communication tools as detailed by the work organization was determined on a legal basis. August 2016 – “Law 728, “the Law on the Amendment of Certain Laws Aiming to Improve the Investment Environment Law” (Omnibus Law) was issued. • A duty exemption was introduced to contracts issued regarding the investments included in the scope of the incentive encouragement certificate. • The buildings constructed within the scope of the incentive encouragement certificate and related lands will be exempt from the real estate tax during the validity of the certificate; the mentioned buildings and facilities shall be exempt from the fees required to be applied by the municipalities according to the zoning legislation. • Discounts have been introduced regarding the income tax collected from the fees paid to staff employed to fulfill these activities in service enterprises: architecture, engineering, design, software, medical reporting, account record keeping, call center and data keeping services, and who act in the fields of health and education. • The regional management centers established further to the permission obtained from the Ministry of Economy will be exempt from the corporate tax under certain conditions. • An income tax exemption was introduced in regards to the wages of the personnel employed in these centers. • As to transfer pricing, OECD’s “Transfer Pricing Guide for International Companies and Tax Administrations” was taken as the basis, and an update regarding the methods to be used in transfer pricing was performed. • Taxpayers were enabled to discount the value added tax paid for imports or, as the responsible party, from the value added tax calculated on the transactions of the taxpayer that are subject to taxation. • An incentive mechanism was introduced for energy saving projects, and the expenditure regarding the provision of thermal insulation and energy savings in buildings can now be registered as a direct expense in the year they are spent. • A stamp duty exemption was introduced for the papers issued due to transactions aimed at thermal insulation and energy saving. • For papers issued as more than one copy, only one copy will be subject to the stamp duty among those which are subject to the proportional tax. August 2016 – Law of International Labor was published in the Official Gazette. • Foreigners with a long term residence permit or a minimum an 8-year work permit can apply for an indefinite work permit. • Foreigners with an indefinite work permit shall benefit from the rights granted to Turkish citizens. However, they will not have the rights to be elected, to vote nor to enter public service and the liability of military service will not apply. • Foreigners whose applications are deemed eligible by the Ministry may be given a “Turkuaz Card”. For Turkuaz card applications, in accordance with international labor policy, criteria such as education level, professional experience, contribution to science and technology, effect of the activity or investment in Turkey to its economy and employment of the country will be taken into consideration. Turkuaz card holders will benefit from the rights provided by the indefinite work permit. According to legal regulations, spouses and dependent children of foreigners who are Turkuaz card holders according shall be provided with a certificate which replaces the residence permit and indicates that they are relatives of a Turkuaz card holder. 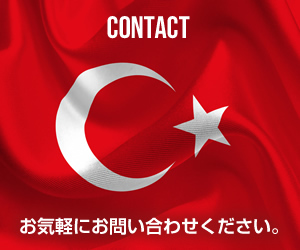 • Citizens of the Turkish Republic of Northern Cyprus (TRNC) and EU countries who are reported by the Ministry of Interior or the Ministry of Exterior as being of Turkish origin, and accomplished foreigners who come to Turkey for scientific, cultural, artistic or sports purposes will benefit from exemptions related to the work permit. • Foreign engineers and architects with diplomas issued by YÖK accredited universities will be able to obtain project-based and a temporary work permit. With this article, the practice of approval a foreign diploma by the Higher Education Board (YOK) was removed. A second approval will not be required for higher education institutions that have already been accredited by the Board. • Foreigners who obtain work permits will not be required to obtain a permit of residence. • For members of board of directors of incorporations founded in Turkey that do not reside in Turkey and shareholders of other types of companies founded in Turkey but are not executives of those companies, a cross-border service provision that does not exceed 90 days within a 180-day period will be evaluated as part of the work permit exemption. August 2016 – The Law on the Establishment of the Turkish Wealth Fund Management Joint Stock Company, and modification of certain laws was posted and enforced in the Official Gazette. • Along with the establishment of the Turkish Wealth Fund, the Fund may become a partner of both domestic and international investors’ projects and financing will be provided. The fund may realize the transactions of project development, project-based resource creation, external project loan provision and supply of resources through other means. October 2016 – The Resolution for providing 4th zone incentives to the investments in the category of medium-high technology was published. • According to the definition of OECD technology density, investment issues included in the medium-high technology industry category will receive 4th- zone incentives even if they are realized in the 1st, 2nd or 3rd zone. • Investments to be made in Zone 4, 5 and 6 will benefit from the incentives related to their zones. • In this context, a minimum investment amount for incentive certificates to be issued will be 1 million TL for Zone 1 and 2, and TL 500,000 for the other zones. November 2016 – The Resolution for the Provision of Project-Based Governmental Assistance to Investments was published. • The incentive mechanism in question will cover the critical requirements of our country now or in the future, ensure supply safety, reduce foreign dependency, ensure technological transformation, evaluate and support the innovative, R&D-dense and high value added investments per project basis. • There are incentives such as customs duty exemption, VAT exemption and return, tax discount, insurance premium employer’s share incentive, income tax withholding incentive, interest incentive, insurance premium incentive and place of investment allocation in the current incentive system which has been implemented since 2012. • The project-based incentive system offers support in areas such as high quality personnel incentives, energy incentives, public purchase guarantee, infrastructural incentives and exemptions for the permits, allocations, licenses, and registrations introduced by statutes, as well as the facilitation of legal and administrative processes in addition to the foregoing incentives. • Within the scope of the incentive mechanism in question, the Ministry of Economy may invite one or more companies for investment within the framework of the law, or extend invitations through advertisements. December 2016 – The measures taken by the Economy Coordination Board to support SME’s was disclosed. • In order to eliminate the cash-flow issues for exporters and SME’s, a credit volume of up to 250 billion Turkish Liras has been created through the guarantee of the Credit Guarantee Fund. • The guarantee rates have been determined as 100% for export loans, 90% for SME’s and 85% for commercial loans. • For production-oriented investment expenditures, the investment contribution rate was increased by 15%, and full application of the corporate tax discount was ensured. • A VAT rebate was provided for investment-oriented construction activities. • The postponement of January-February-March 2017 premiums of private industry employers, tat are eligible for the minimum wage incentive, to October-November-December 2017 has been ensured. • A provision of employment for a total of 600,000 people, including 500,000 people through İSKUR’s active labor program, and 100,000 people through employment for the public benefit program, is foreseen in 2017. • The capital of Eximbank was increased and a zero-interest rate application on foreign exchange loans offered to foreign contracting services has been introduced. • A 50,000 TL loan with a 3-year maturity has been offered to SME’s. Enabling 15,000 SME’s to benefit from loans without reimbursement and interest for the first 12 months is foreseen. • A 7.5%-interest limit has been introduced to the deposit acceptance of public banks, thusly ensuring the bank’ access to lower interest resources and reduction of loan costs . January 2017 – The Decree on the Principles and Procedures of the Application of Attraction Centers Program was posted. • New or ongoing or incomplete investment projects in the production industry, as well as new call center and data center projects have been identified as targets as part of the incentive. • 1,200 applications were submitted for a total of 19.6 billion TL investments for 23 provinces (Adıyaman, Ağrı, Ardahan, Batman, Bayburt, Bingöl, Bitlis, Diyarbakır, Elazığ, Erzincan, Erzurum, Gümüşhane, Hakkari, Iğdır, Kars, Malatya, Mardin, Muş, Siirt, Şanlıurfa, Şırnak, Tunceli, and Van) in the Eastern and Southeastern Anatolia regions for preliminary requests to the program were disclosed in November 2016. • A provision of employment for 112,400 people is foreseen within the scope of the project. • Consulting services, investment place allocations, building construction support, interest-free investment loan support and discounted-interest operating loan support were offered for investors’ applications as part of the investment and production support package. • Under the production facility relocation support package, incentives and loan support in the other packages along with cash relocation support will be provided. • Building allocation, fiber infrastructure, personnel training and credit support in other packages will be provided as part of the Call Center support package. • Energy support, fiber infrastructure and the loan support in other packages will be provided as part of the Data Center investment and energy support package. • The minimum investment amount in manufacturing industry investments has been determined as 2 million liras and the minimum employment at 30 people. • The minimum employment for Call Center investments has been determined at 200 people. • Minimum area for Data Center investments have been determined at 5,000 sqm. • For factory investments, support shall be provided for up to 20,000 sq.m., 30% of which is required to be covered with equities. • A low-interest operating loan with a 6-year total maturity, and a 2-year without payment period will be introduced, as well as up to 50% interest support shall be provided. • At the end of 15 years, the factory building may be transferred to the investor at a symbolic value. • A 2,500 TL per capita support shall be provided at call centers for the training of personnel. • A 30% support shall be provided for the electricity consumed at data centers. January 2017 – The Regulation on Amendment to the Practice of the Turkish Citizenship Law was published in the Official Gazette. Foreigners who satisfy at least one of the following conditions may earn Turkish citizenship. • Those who are identified by the Ministry of Environment and Urbanization as having purchased a minimum of 1 million USD worth of property, provided that a restriction of selling is imposed on deed records for three years. • Those individuals who are identified by the Ministry of Labor and Social Security as having created employment for a minimum of 100 people. • Those individuals who are identified by the Banking Regulation and Supervision Agency as having deposited in banks acting in Turkey a minimum deposit of 3 million USD, an amount which is to be retained for three years. January 2017 – The New Industrial Property Law was enacted. • The name of the Turkish Patent Institute has been changed to the Turkish Patent and Trademark Institution. • Trademarks may consist of any kind of sign, including words, names of individuals, shapes, colors, letters, numbers, or sounds and shapes of goods or packages. • An invention will bear the quality of being a “patentable invention” provided that it is a new invention in every field, includes an inventive step or is eligible for use in industry. • A continuous inspection mechanism will be introduced for patents, particularly a stronger and higher quality patent infrastructure will be provided for SME’s. • The beneficial model registration practice in the biotechnology, chemical and pharmaceuticals industries was removed and a mandatory innovation/originality audit mechanism was introduced. • An exemption was instated for the biotechnological inventions concept, and the studies related to the human genome and cloning were removed from the patent’s scope. • Employers were provided with the right to possess the patent related to the inventions of their employees, and the same right has also been provided to universities. • Third parties have been allowed to object within 6 months from the date of announcement of the patent. Furthermore, the right for defense has been provided to the patent holder following the invitation and notification of the Turkish Patent and Trademark Institution. • The system of investigating originality during applications for industrial designs has been introduced. • Providing protection only for the visible parts of complex products has been introduced. • The period of objection for industrial designs has been reduced from 6 months to 3 months, and the application term has been shortened. • Trademarks or patents may be imported from foreign countries to Turkey without the permission of the domestic trademark or patent owner. February 2017 – The rates of participation in investments applied for manufacture industry investments to be realized in 2017 were increased by 15 points. The corporate tax discount rate will be implemented as 100% for 2017. • The limits of authority of the Board of Ministers have been increased regarding the ratios of participation in investment for the manufacturing industry to be made in 2017; the portion of the investment contribution rate to be obtained by implementing a discount on other revenues in the investment period has been increased to 100%. these will be implemented without requiring any actions on the incentive certificate. February 2017 – The regulation that introduces VAT exemption for the first residence or workplace to be purchased in Turkey by foreigners or Turkish citizens living abroad was acknowledged in the General Board of TBMM (will be enforced on 1 July 2017). • The regulation is valid for foreigners (individuals who have not settled in Turkey, and those whose business headquarters are not in Turkey, or institutions that do not accrue earnings in Turkey) and Turkish citizens who live abroad for longer than 6 months with a work permit or residence permit. • They shall not pay VAT on the first business location or residence they purchase, provided that they pay the sale price with foreign currency brought from abroad. • These properties may not be sold for 1 year. • Turkish citizens who live abroad for more than 6 months by obtaining a work permit or residence permit will not pay VAT either when they purchase a residence or workplace in Turkey. However, public chambers and institutions as well as a the Turkish citizens who are affiliated with the corporations and ventures headquartered in Turkey but residing abroad due to the businesses of the corporation and venture may not benefit from this right. February 2017 – The regulation which provides a 5% discount to the taxpayers who regularly pay the income and corporate tax was accepted during the General Meeting of the Grand National Assembly of Turkey (TBMM). (It was enforced for application in the annual income tax and corporate tax statements to be filed after January 1, 2018). • For those who are income tax payers due to their commercial, agricultural or professional activities and those among the corporate taxpayers (except those who act in the industries of finance and banking, insurance and reassurance and retirement companies and retirement investment funds), an amount of 5% of the tax calculated according to annual income or corporate tax statements will be deducted from the income or corporate tax levied. • The calculated discount amount may not be more than 1 million TL in any circumstance. • If the amount to be discounted is higher than the tax is required to be paid, the remaining amount may be deducted from other taxes that occur on the taxpayer’s tax return in one full year following the date when the annual income or corporate tax returns are required to be submitted. • In order to benefit from the discount, the year to which the discount is to be calculated, along with the tax returns for the two years prior to that year must be given within the legal time period and the taxes that occurred on those returns are required to be paid within their legal time periods.